London - London’s Jewish community has been plunged into mourning following the shocking drowning this morning of R’ Chaim Breisch, Rosh Yeshiva of Yeshivas Mesivta of London, who had been spending time at the home of his brother in law R’ Shmili Berger in Ramsgate, approximately eighty miles east of London. According to BBC reports, Kent police were called to West Cliff Road in Broadstairs at approximately 11:40 this morning following reports of two men struggling in the water of Louisa Bay. Both R’ Breisch and his chavrusa who had accompanied him to the water were removed from the water and taken to Queen Elizabeth the Queen Mother Hospital in Margate. 30 year old R’ Yitzchak Beigel was not seriously injured and is reportedly in stable condition. News sources in the United Kingdom reported extremely large waves and rough water in the area today. R’ Breisch, who was 65 years old at the time of his petira, was born in Switzerland and was the son of R’ Shimon Breisch Shlita and the grandson of R’ Yaakov Breisch z’l, author of the well known Chelkas Yaakov. He was the nephew of the current Rov of Zurich, R’ Shaul Breisch and brother in law to the current Brisker Rosh Yeshiva, R’ Avrohom Yehoshua Soleveichik. 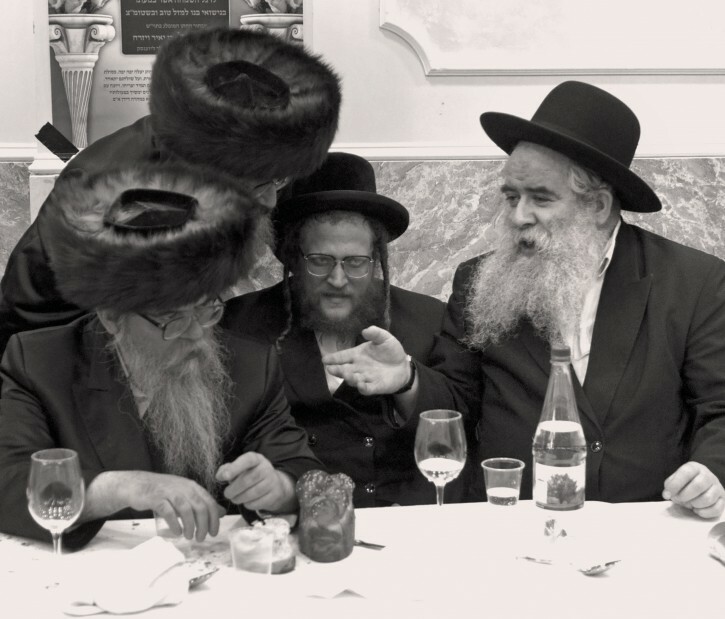 A Satmar chosid, R’ Breisch was the maggid shiur in the Satmar yeshiva for eighteen years, before eventually taking on the position of Yeshivas Mesivta in London, a yeshiva that was so well known it attracted many talmidim from overseas, particularly Brooklyn. While R’ Breisch was well known for the tremendous clarity of his shiurim and his ability to explain even the deepest subjects in Gemara, his ability to connect with the bochurim in his yeshiva was equally legendary. Asked to describe one quality that best personified R’ Breisch, one former talmid immediately zeroed on R’ Breisch’s inherent goodness. Although R’ Breisch came from a wealthy family and married the daughter of the well known Rabbi Gedalya Ostreicher z’l, also a man of means, he lived simply and a former neighbor recalled that he never had his own driver, instead preferring to walk. The suddenness of R’ Breisch’s petira has left the community of Stamford Hill struggling to deal with an indescribable loss. The chevra kadisha is still waiting for the body to be released by the medical examiner, but they are hopeful that the levaya will take place tomorrow. Brisker rebbe? A new one on me. we mamesh see that the MALUCH HAMUVES grabbed him away from us....A KURBEN TZIBUR. BDE. This only reinforces the importance that everyone in the yeshivish and chassidish kehillahs learn how to swim. If this tragedy serves as a reminder and saves just one life in the future, it will be a great memory to this tzadik. It says R' Shimon Breish shlita, not z'l. Truly shocking! Mesivta yeshiva is an amazing yeshiva. What a tragic loss. And there was a headmistress mrs lauria also niftar today. The gemorah mentions that in the times of Moshiach the ribno shel oilem will pluck tazadikim everyday from us. Tzadikim are being plucked away from us over the last few months. Scary times we live in. 1) There is no mention in this article abaut a Brisker Rebbe. 3) Talmidim of R' Chaim posting on the internet? I am sure he wouldn't aprove of it. Is that all you felt reading the article? Extremely stupid comment. Exceptionally stupid. 1) This had nothing to do with slamming capabilities. He was swamped by a wave that hurled him against a rock and he was severely injured. 2) Many experienced swimmers drown as well. 3) in my experience as a lifeguard for many years I have that "yeshivish" and " chasidish" swim just fine. You thought you had a wise remark, however your remark just showed how distant you are from wise. Why would a rav in hid mid-60s who is not a strong swimmer be taking a recreational swim off the coast of England in icy waters in large waves and rough seas?? Ex Stamford Hill: can u pls confirm with me about Mrs Luria? I'm in shock. She was my principle and I worked with her the last few yrs when I moved to Lakewood. i am just speechless, this was so fast without a warning, and reb chaim is not here anymore, i cant believe it, it sounds like a bad dream........he was such a teiara yid, such a deep brain, in his hayday he would learn with such depth and passion....and he would say tehilim with such a deveikus like a little boy. He wanted to Toivel. He was staying in his brother in laws house. There is no mikva in the area. It is very normal for holidaying yiden to toivel in the sea. Unfortunatley he was unaware of the serious dangers involved on this occasion. He was a special special yied and was not going for a recreational swim. Not a single mention of the 2 brave men that went into the water to rescue this poor man. What makes YOU read vin and post? I wonder what your name is! She apparently was sick for a few years. Only know that she passed away. I Left yesodey hatorah school 25 years ago. Pewh! Brixton more like!so happy u had the opportunity to work with her. I guess u were one of those teachers that had favourtism. The clever the rich ect.